Visionaries, thinkers and leaders have been finding inspiration and innovation in breathtaking Monterey County for decades. As economic development is an important factor in strengthening communities, the City of Monterey is co-hosting the ComCap17 Conference from Sunday, September 10 through Wednesday, September 13, 2017, in an effort to bring together more than 250 local leaders and national experts from a number of industries including government, banks, nonprofits, education, business development, agriculture, business and finance. ComCap is a national conference founded by Oregon-based Hatch Innovation in which leaders discuss economic development as well as crowdfunding and community capital. 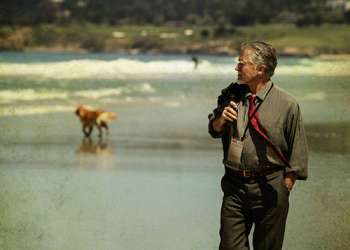 This year, there will be more than 50 speakers participating in sessions, panels and workshops in venues throughout Monterey. Timothy Barrett, Councilman for the City of Monterey, was inspired to bring the event to the city after attending last year’s conference in Portland. “Community capital is not just contemporary financial innovation, it&apos;s a tool for building stronger communities and local economies wherever our homes may be,” says Barrett. “Through this conference, community and business leaders will be able to learn new tools and ideas for increasing access to capital for small business and for strengthening our economy.” Amy Pearl, Founder and CEO of Hatch Innovation, says Monterey is an ideal location for this national conference not only because of the beautiful setting, but also because of its confluence of economic development and city leadership, small business and community support, leading to a perfect place to improve community capital nationally. ComCap2017 will be co-hosted by the City of Monterey and Middlebury Institute of International Studies at Monterey with support from the National Coalition for Community Capital. ComCap17 is one example of the more than 250 meetings and conferences that the Monterey County Convention and Visitors Bureau (MCCVB) assists here in the region annually. The MCCVB is committed to driving growth in the tourism industry for Monterey County through targeted marketing and sales initiatives.